Love creating stylish, usable and engaging websites with a focus on standards and accessibility. "Responsive and followed directions well. " "Awesome Design. Very easy to work with!" "Pinku hit our nerves with the very first design drafts and completed the design competition as our winner. Understood clearly the briefing, fast in return and always willing to optimize. Recomendation!" "Thank you for working with us!" "Very creative and a pleasure to work with. " "Nice and Steady - Fair prices, and fast - my recommendation..."
"Pinku was a very good designer. The project was relatively simple and he grasped my aims quickly and executed the design and coding for a 4 page website rather quickly. Pinku was responsive, but the time zone was a challenge at times. I would use Pinku..."
"Great design. Glad to work with them. " "Fast Delivery and Great Works! Would hire again!" "Great design work and easily had the best conversion-focused design for my landing page"
"Best designer to work with. He works very quickly and is always available to make adjustments. " "They did a great job listening to my feedback and providing the design I was looking for." "Pinku is great - very responsive, good attention to detail. Highly recommended! " "Excellent quality work with super fast response times, and great artistic execution! " "Awesome to work with, very flexible and talented." "Loved working w/Pinku. He really got the design that we were going for and nailed it practically on the first try! " "Pinku is very easy to work with"
"Great Designer! Pinku hit the nail on the head. Fast work and great work thank you." "Excellent work. Clearly on brief, and prompt changes. Thank you!" "Pinku made every revision and request we had happen quickly. He had a creative, bright and bold design that stood out easily from the 40 others we had." "This is my second time working with Pinku. Fantastic job! Will definitely be using him again in the future. Highly recommend 16 out of 10 stars! Goes above and beyond. " "Pinku did an absolutely FANTASTIC job with everything! He is very responsive, detail oriented and truly goes above and beyond to ensure you are taken care of. In addition, he is very talented and added his own creative and professional skill set to our ..."
"Very responsive to requests and did a great job." "Excellent, talented designer. She took the time to understand the brief - Will look forward to working with Pinku on future projects! " "As usual, Pinku has done amazing graphic design work. Always fast responses and always quality work. We have been working with Pinku for 4 years now and will continue to work with them for many years to come. " "Wonderful designer- stood out easily, very talented. " "Pinku made a lot of revisions in a timely manner for me. I'm happy with the final product." "nice design, quick response. Great designer to work with." "As usual, excellent work from this high quality graphic designer. " "Great contest experience. Pinku is a talented designer and a pleasure to work with. " "Excellent work. Responsive to all change requests. Thoughtful design. Thank you so much." "The designer did a great job. We are very happy with the work. " "Thanks for your great design and fast feedback. I would have prefered a stockfoto for the main image as we would not have to look for a good one. Other than that it was a great cooporation!" "Top designer do his "
"Great to work with. Creative, and meets deadlines. Will work with again. " "Repeat project with Pinku, and as always, a great experience. I highly recommend Pinku if you want a talented and very responsive design professional. Thanks again!" "Pinku was very responsive and took our feedback well and incorporated it flawlessly into his/her design. We ended up with a fantastic product. Thank you!" "Absolutely an amazing designer! By far one of the best I've ever seen. A++ Quality!!!" "Overall, super satisfied. There were a few misunderstandings with regards to the purpose of the site and the impact of this on the UX, but it was quickly sorted, and Pinku was always extremely fast at making the requested changes." "Repeat project, great work again. Thank you!" "Good job. Will definitely work together in future. " "Pinku was extremely responsive and helpful throughout the process. I found him professional and very easy to work with. Most importantly he did a great job on the design--highly recommended!" "Great design. Thanks for the revisions. " "Talented designer and good communicator. I highly recommend with with Pinku!" "I thought Pinku was very responsive and eager to please. Sometimes getting it done quickly is important and that was the case here! Ron"
"Very pleased with the design. Pinku is very creative and focuses on the quality of work she produces. I highly recommend her services and would work with her again. " "Good response time and easy to work with. " "Fast edits and followed the brief. Good designer. " "Great design work and very happy with results. Quick turn-a-round. Will continue to work with this designer in the future. " "Very happy with our designs. Great stuff! Looking forward to working with Pinku on many 1-1 projects!" "The artist was quick with revisions, but sometimes I had to repeat the desired changes more than once in order to see them in the revisions. It's likely, however, that I simply wasn't clear with my instructions. Pinku was a pleasure to work with and his..."
"Was a very good designer. Took my feedback and implemented it quickly. Was very pleased with the final outcome of the project." "Great communication. Got the changes I needed and responses were prompt. Thanks!" "By just evaluating the designs, Pinku managed to win ANOTHER one of my design contests. Great work again, very good at making changes." "Great work. Has won 3 of my contests!" "Pinku is so easy to work with. He is extremely patient and nice. And he really listens to your needs. I highly recommend him for anyone." "great work from Pinku ! the design stood out for us and the followup and willingness to adjust the design to get the finished result was awesome"
"Pinku did a great job an answered every minor request I had to edit that image after the contest was over! I now have three great pages for a website and I couldn't be more pleased with my design. 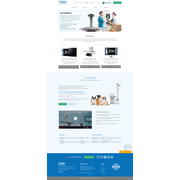 It is not only nice to look at, but it's a great mousetr..."
"Great to work with. Clean design. implemented design changes quickly and efficiently. very happy with the final product!" "great designer, thanks again for your work"
"Fantastic, thoughtful and to-scope design. And very responsive to feedback. Well done!" "Excellent design work from the start. Also, Pinku's responded to revisions quickly and helped create a great final product." "Pinku did a great job with my design. And more importantly he took the time and effort to make a bunch of small changes to ensure that we were on the same page. I think he submitted about 15 overall designs!" "Pinku did a great job. We look forward to working with them again." "The design from Pinku was very professional and met all of our design criteria and each time we asked for updates they were made in a very timely fashion. Very happy with our web page design." "Great work! Quick, concise, and talented! I highly recommend!" "Very good work. Correspond exactly to our expectations. Very good designer"
"Once in a lifetime a designer comes along who just "gets it". Pinku is that designer and will be invited to participate in every future contest I hold. Amazing incredible awesome job!" "Awesome to work with. Sure the design was great, but when we asked for revisions they were spot on, and hit the spot. You decreased our time from start to finish by a significant amount and it's very appreciated." "Great guy to deal with - really responsive with his designs, and willing to make changes when required. Also dealt well with a previous employee who wasn't easy to deal with. Would definitely recommend him." "Great Job! Will be happy to hire you again!"